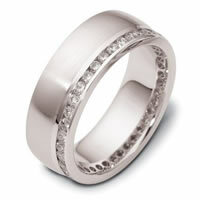 Palladium diamond eternity, comfort fit, 8.5mm wide wedding band. 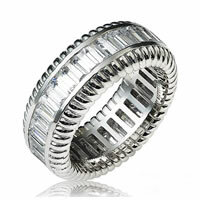 The ring has approximately 1.90 ct tw diamonds, VS1-2 in clarity and G-H in color. 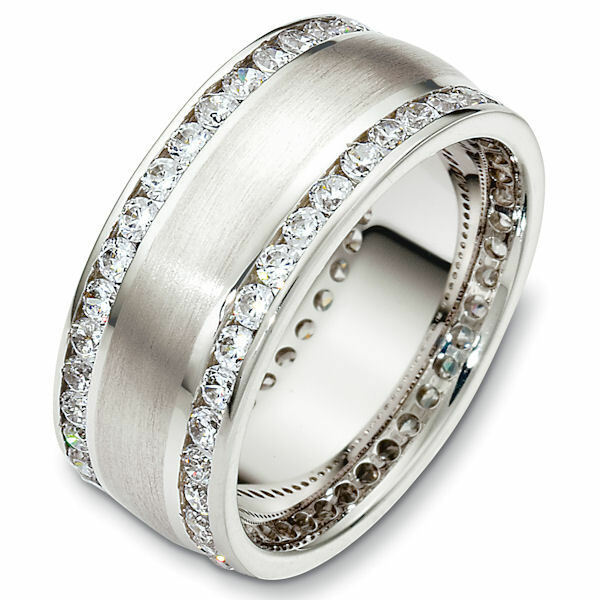 There are about 76 round brilliant cut diamonds, each measures 0.025 ct. 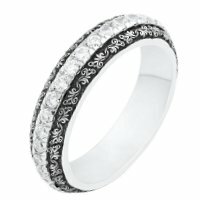 The number of stones may vary depending on the size of the ring. 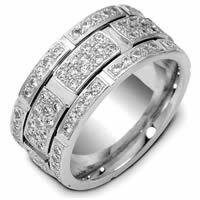 Larger rings will have more stones and diamond weight. 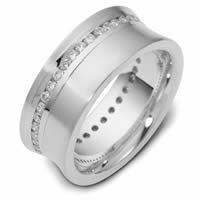 Smaller rings will have less stones and diamond weight. 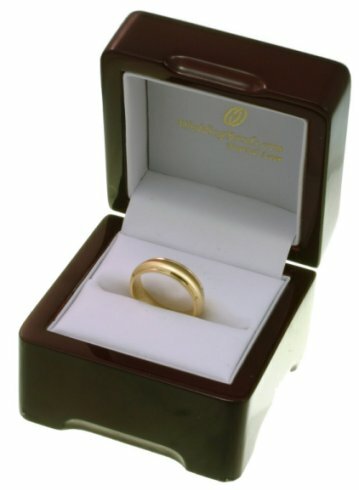 The ring has a matte finish. 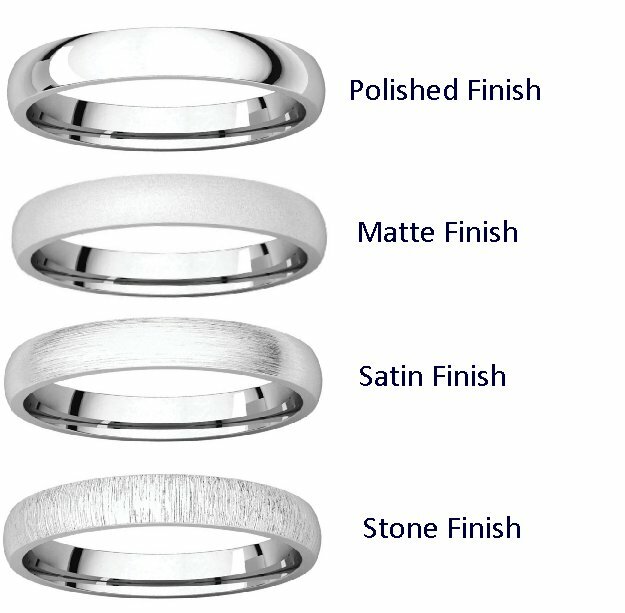 Different finishes may be selected. It is 8.5mm wide and comfort fit.